All our Betty Crocker Cake Mixes are the original "Super Moist American Version" - not to be confused with the Betty Crocker sold in the U.K.
Enriched Flour Bleached (Wheat Flour, Niacin, Iron, Thiamin Mononitrate, Riboflavin, Folic Acid), Sugar, Corn Syrup, Leavening (Baking Soda, Sodium Aluminum Phosphate, Monocalcium Phosphate). 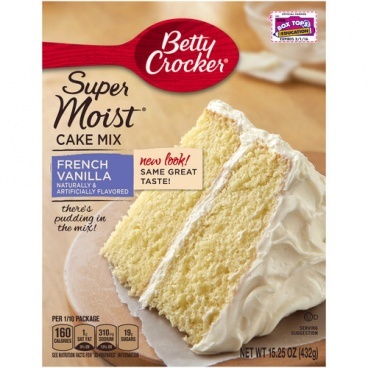 Contains 2% Or Less of: Modified Corn Starch, Corn Starch, Partially Hydrogenated Soybean And/Or Cottonseed Oil, Propylene Glycol Mono And Diesters of Fatty Acids, Salt, Distilled Monoglycerides, Dicalcium Phosphate, Natural And Artificial Flavor, Sodium Stearoyl Lactylate, Xanthan Gum, Cellulose Gum, Nonfat Milk. 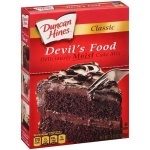 Contains Wheat And Milk Ingredients. 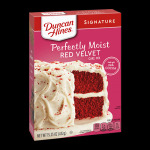 This is a moist cake that is absolutely delicious, you can't go wrong just follow the instructions on the box.